Tuesday, October 23rd, 2018 at 12:10pm. 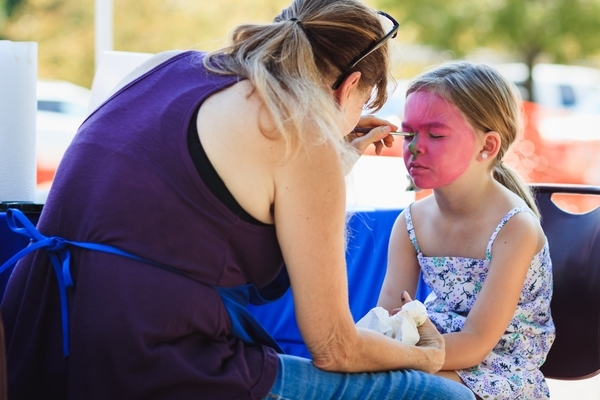 On Friday, October 26th from 6-8pm, the Jupiter Community Center is hosting “Kooky Halloween”, a free event for Jupiter families looking for a safe evening of fun. Ariel, Belle, Spiderman, and a Minion will all be in attendance, and kids can enjoy face painting, pumpkin decorating, fortune telling, a bounce house, candy, music, prizes, and even a dedicated toddler play area. Food Trucks will have food for purchase, including Joey’s Kitchen and Tropical Sno. Saturday, February 6th, 2016 at 1:01pm. Prepare to be blown away! Come out today, February 6 to the Jupiter Community Center to see an amazing display of award winning artists create their works of art in chalk onto the street. 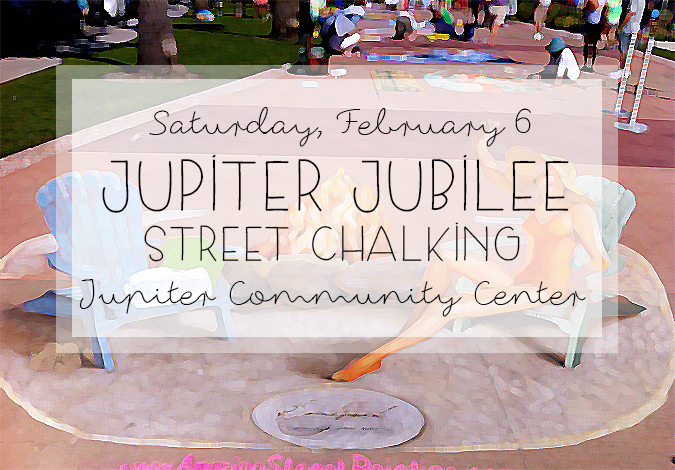 You will see amazing 3D street paintings and chalk art all over the street at the Jupiter Jubilee at the Jupiter Community Center. The Jupiter Jubilee will have over 50 spaces dedicated to the artists to make their works of art larger than life. Some of the award-winning artists you will be able to meet include Jennifer Chapparro and Michael Las Casas. “Event-goers are encouraged to bring cameras and jump into the life-sized, interactive scenes to take a photo that looks like you are "in" the action.